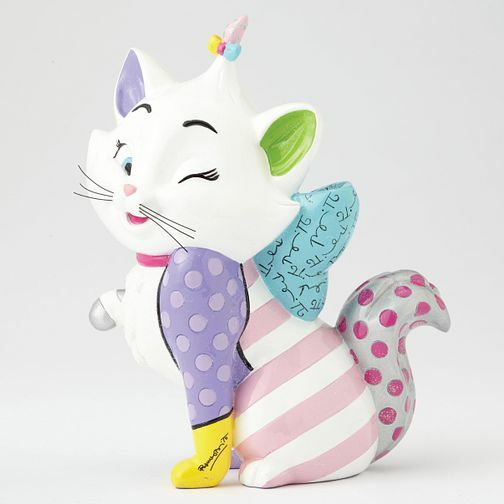 Relive the Disney classic The Aristocats with this vibrant and colourful Disney Britto Marie figurine. Disney Britto Marie Figurine is rated 5.0 out of 5 by 3. Rated 5 out of 5 by Anonymous from Lovely figurine Purchased for a work colleague as leaving present and she loved it. Rated 5 out of 5 by Anonymous from Beautifully made. I bought this especially for one of my daughters as she loves Walt Disney - anything and everything. This will be the third figurine that I have bought for her from this collection but its something that can be added to over the years. They are worth evey penny. Can’t wait to see her face on Christmas day. She can put it with Dumbo and Eyore.